Large degree of clonality in Pt169 replication-competent and proviral full-length env and nef sequences. 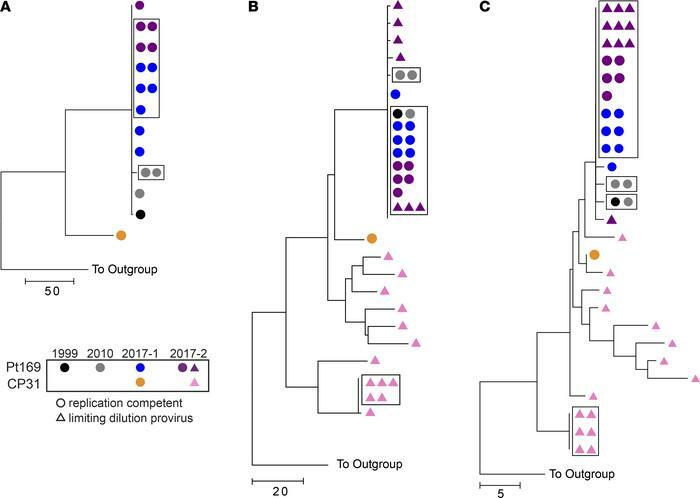 Phylogenetic trees of near-full-length replication-competent virus (A) and full-length env (B) and nef (C) from either proviral clones (triangles) or replication-competent virus (circles). Boxes indicate identical sequences.